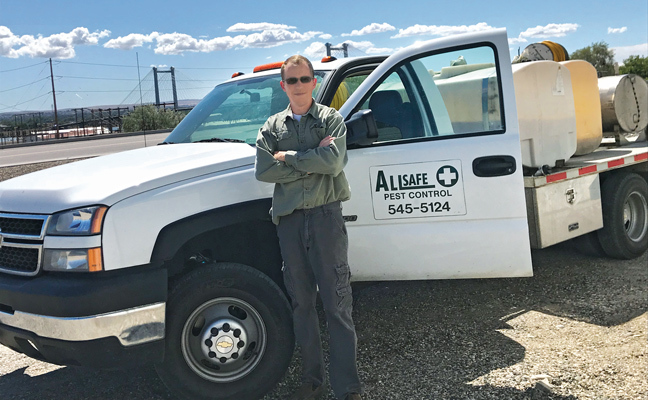 David Roeder, a technician with All Safe Pest Control, Pasco, Wash., is in the process of purchasing the company from its retiring owner, Pat Barrett. As if that isn’t enough to keep Roeder busy, he also runs a knife-making business. 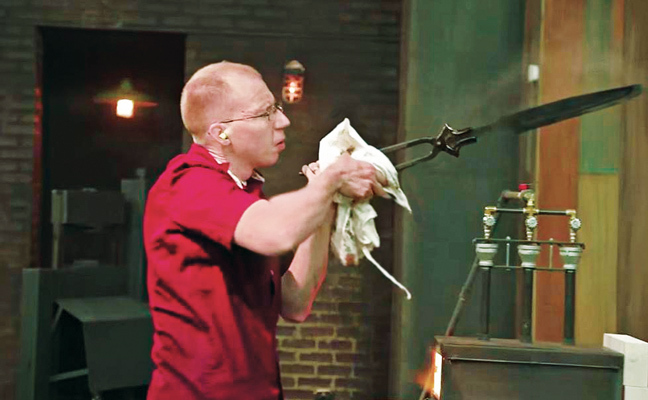 His technical prowess in metal forging led him to be one of the first contestants on the History Channel’s “Forged in Fire” during its debut season in 2015. He took second place on the episode, but was brought back the following season for the show’s “Fan Favorites” episode — winning first place and $10,000. 1. Your Facebook page notes that you’ve been metal forging since 1996. How long have you worked in the pest control industry, and how did that come about? About four years ago, a gentleman who saw me on “Forged in Fire,” noticed I was local, and came over to my shop to meet me. We talked about a lot of things, and he told me about how he worked for a national pest control company. It seemed interesting to me, and we chatted about its ins and outs. The next day, he came back, and said, “You know, we’ve got a job opening. If you want it, it’s yours.” Sight unseen! I said, sure, why not? I started as a commercial technician and have been in it ever since, moving to All Safe as its only technician about two years ago. By early fall, I should have full ownership of the company. 2. Is there any crossover between the two skill sets of knife-making and dealing with pests? There are a lot of the same people skills in both. You have to understand what to do, how to talk, and the verbiage in between when dealing with customers. But there’s also the joy of working with your hands. In pest control, it’s all hands-on work, and I really appreciate that. I’m out there in the field, and every location is different. I like the variety. I never have two of the same knives, either — each one is always going to be its own thing. 3. What was the schedule like for both your “Forged in Fire” appearances, and how did that fit with your pest control duties? The first episode took three days of filming, then for the third round you go home and have 45 hours to complete the project, in five days. With travel time there and back, I had two weeks wrapped into it, taking vacation time. When I went back for the “Fan Favorites” episode, I had a manager who told me to take the time off and not to worry about a thing. It was nice; it’s not often you have a situation like that. By the way, you don’t get to keep the weapons you make on the show — at least in Seasons 1-3. They are owned by the network. 4. Have you ever forged tools for pest management specifically? Early on, I made a couple inspection picks for the guys to use underneath a big structure. Rather than them using a screwdriver, I made something nice and fancy, with their initials engraved on it. 5. You basically are balancing two careers, on top of being a dad of six kids ranging from 11 years to 18 months old. How do you do it? I’ll start in the morning and service an account or three. When I am done in the early afternoon, I park the truck in the shop and I go home, where my forge is. That gives me until dinner to work on the knives. After dinner, it’s family time. I think my wife does more work than I do, though!